Congratulations, you have decided to become travel nurse! You have your first assignment in a city you’ve never been to, where you know no one, and now what? How do you know, what are the requirements to search a feasible job for you and how to contact the recruiter who is willing to avail your services? All these thoughts can be terrifying but, no need to be worried anymore as we have brought an app Travel Nursing Jobs for you that will really give you a handy solution for all your job needs. Travel Nursing Jobs is an app developed for travel nursing to facilitate them in finding their career opportunities. The app is very simple and easy to use with a cool interface. The app gives you the information about the latest and updated jobs in your present area. 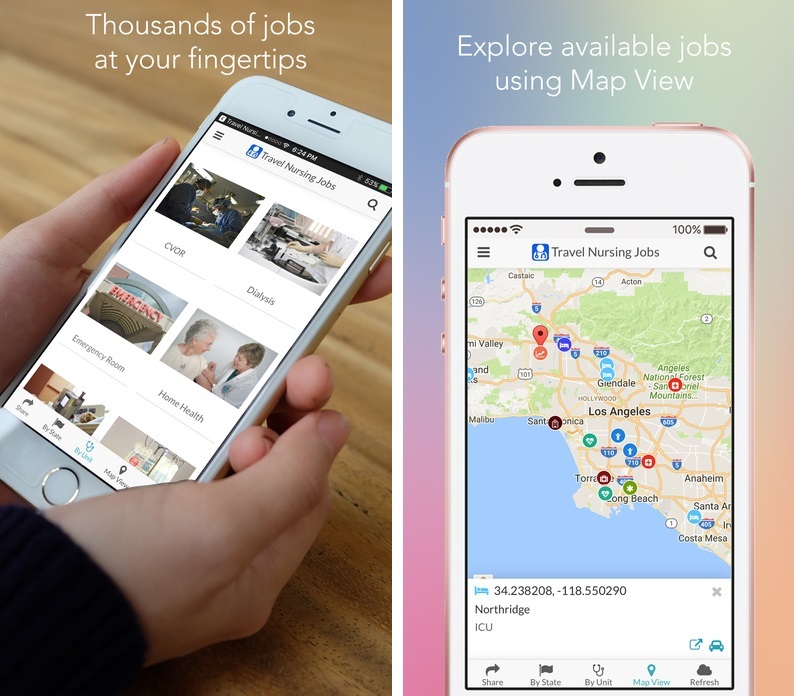 The amazing thing about the app is that you can explore the available jobs by using Map view. Once you have found the job that suits your requirement tap the job name and here you can find all the requirements for the job. Now if you fulfill these requirements you can directly apply to that jib through the app.